Can print electrical, voice-data and safety symbols as well as Code 3 of 9 bar codes. THE IDXPERT labeller, a Brady product distributed by Farnell InOne , is a printer suitable for the die-cut labelling applications of electrical and voice-data users and the high-visibility continuous tapes needed by facility and safety users. Users can choose from over 90 labels. The range includes wire sleeves, self-laminating and standard wraparound wire markers, precalibrated terminal block and patch panel markers as well as continuous outdoor grade industrial supplies for signage, pipe markers and equipment marking. The printer offers labels as narrow as 6mm with a type size as small as 1.5mm high. It can also print labels as wide as 38mm with a type size as large as 32mm high. It can print electrical, voice-data and safety symbols as well as Code 3 of 9 bar codes. There are 82 symbols in electrical, voice data, safety and industrial categories. The printer has a drop, lock and print smart cartridge. The cartridge contains both the ribbon and the label materials so change-outs are really fast. Each cartridge uses Brady's smart cell technology. This technology allows the printer to recognise what label cartridge has been inserted and adjust the printing parameters automatically. A memory function makes it easy to store frequently used setups. 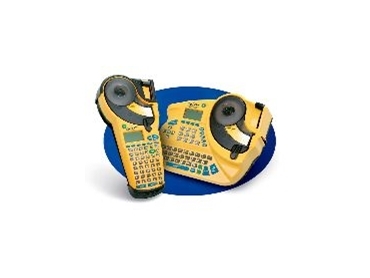 The IDXPERT is offered with an ABC keypad layout or a keyboard layout. Both styles use the same materials and cartridges and have the same price. The keyboard option allows the user to select the printer they prefer. The printer has 300 dots per inch thermal transfer printing so the legend is always dark, crisp and smear-proof. Ribbons never dry out. It is suitable for use in electrical identification applications, as well as voice-data identification, and MRO, facility and safety identification.